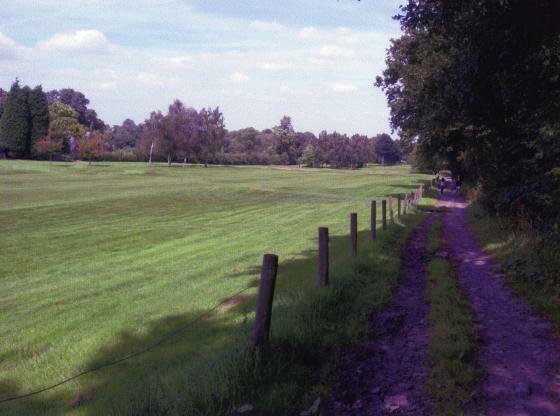 This old Bridle Road starts at Town Green at the far end of Town Green Street and runs through the Rothley Park Golf Course to the railway Bridge over the Great Central Railway. 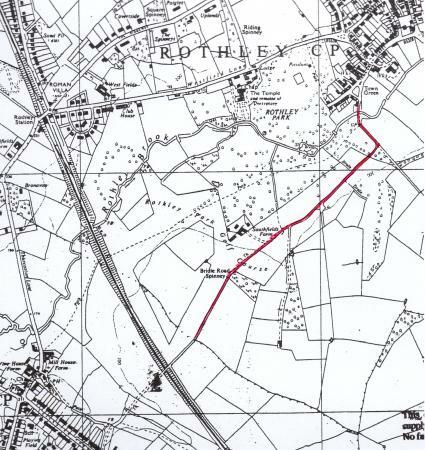 At this point you reach the Rothley Boundary but the Bridle Road continues to the main road into Thurcaston. Our first walk was to assess the terrain, look at potential ancient trees and see where we needed permission to access them. 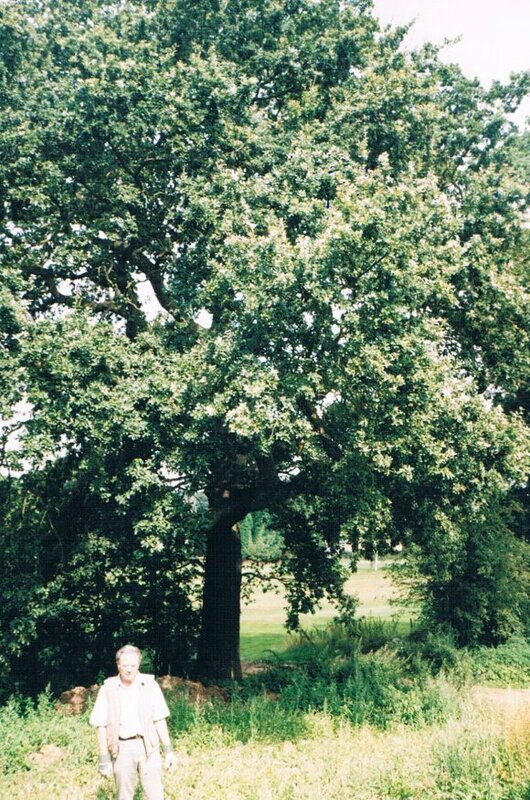 This Bridle Road is tree-lined, some of ancient dimensions, others planted when the golf course was laid out. 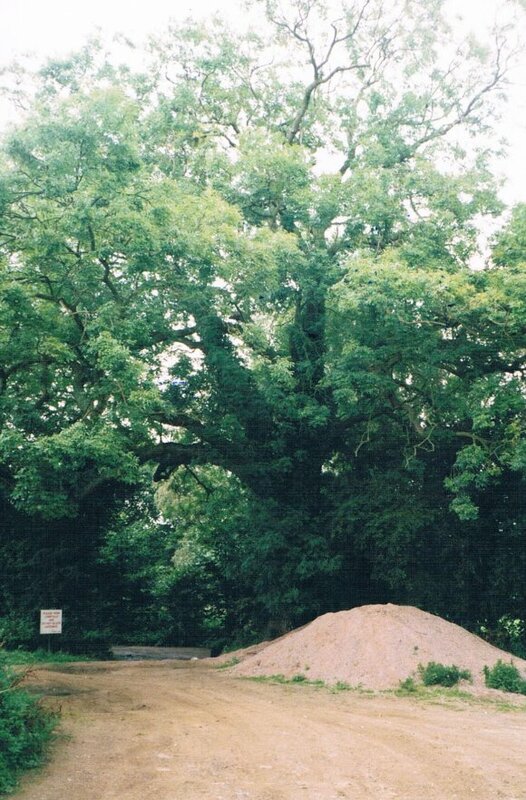 There is a good ditch and an old spinney and it is currently the access road to Southfield Farm and Site Offices for the golf club. 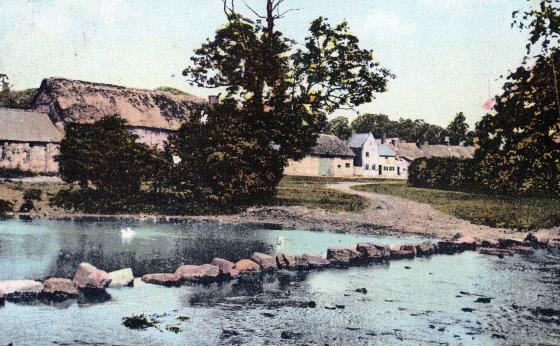 After leaving Town Green the Bridle Road goes over Rothley Brook by a modern bridge but there used to be stepping stones 100 years ago. Postmarked 13th February 1906. Stepping stones over Rothley Brook at the start of the Bridle Road to Thurcaston. The footpath signed beyond the bridge takes you over the fields and through the golf course, under the Great Central Railway and then comes out on Thurcaston Lane, Thurcaston. Carrying on along the Bridle Road it suddenly turns right at the start of the golf course. 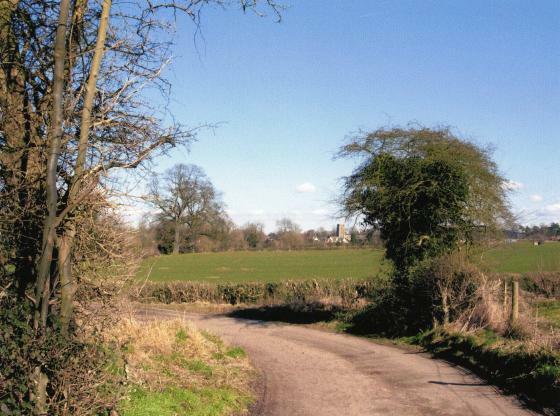 At this point Thomas Babington's Carriageway crosses the Bridle Road on its journey from the A6 to Rothley Temple, now the Rothley Court Hotel. 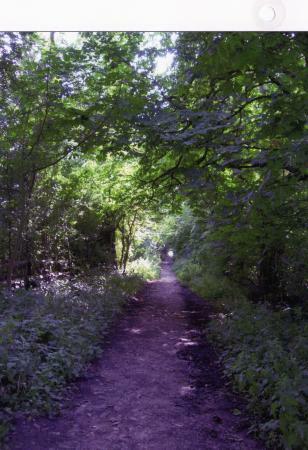 In 2004 this part of the carriageway was made into the private access to Southfield Farm. 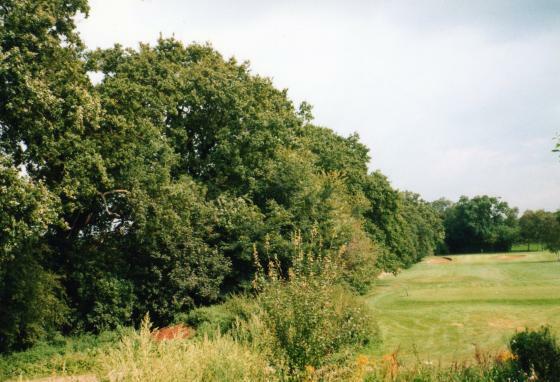 The tree-lined Bridle Road continues through the golf course forming a shady walk to the blue brick railway bridge. XHTML 1.0 validated. WCAG compliant. Page generated in 0.2242 seconds.